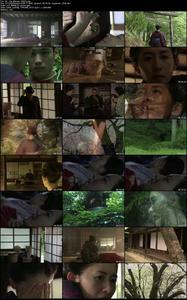 In August of 2010, the Japanese commercial broadcasting station NHK aired a television series of 4 episodes called "Ayashiki Bungô Kaidan". Kaidan are traditional folk stories, most often dealing with ghosts, which can be compared to the Brothers Grimm tales from Europe. "The Arm" is a deliciously strange story of a middle-aged man who is obsessed with a gorgeous young woman. Actually he's obsessed with one part of her anatomy - her right arm. She acknowledges this man's fetiss by kindly offering him her arm for a night. 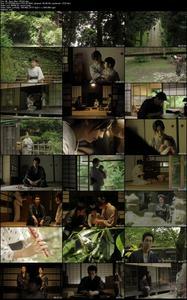 A grieving couple are visited on a daily basis by an eight year old boy. They suppose he is the ghost of their son, who died years ago as a baby. But is the visitor really their son, and can they cope with the thought that he isn't? 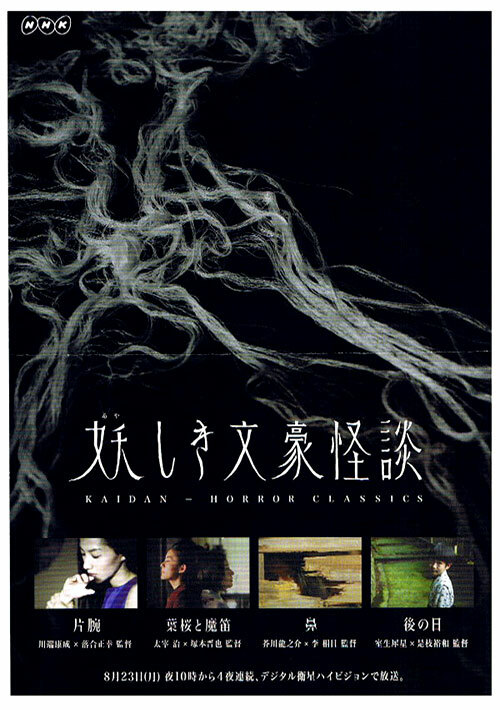 0 Response to "Kaidan Horror Classics (2010) Complete Mini-Series"